Need Help? Get the Right Professional with ServisHero Promos and Vouchers! If you’ve ever need help to fix your air conditioning or your plumbing, then ServisHero is on the job! ServisHero makes it easier to get all the help you need. With just a few taps on your phone, you can book the right hero for the job. From fixing your electrical and wiring, plumbing, moving services, house cleaning, aircon maintenance and installation, and more, ServisHero has your back. 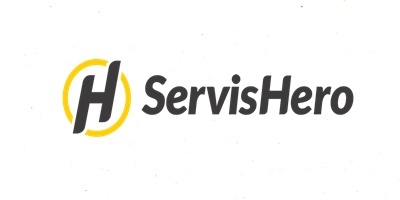 ServisHero is Southeast Asia’s leading mobile marketplace for service jobs. ServisHero aims to promote and empower local businesses by directly connecting them with customers within the vicinity. Within just minutes, you would be able to get the right quotations for services and choose which Hero to book. ServisHero gives you the right options with the best value for money. Like how you would shop online, ServisHero provides you with a selection of services through their mobile app. You can choose from different service providers within your vicinity and ask for quotations in an instant! All you need to do is post the job and wait for nearby Heroes to respond with a quote. Everything from event planning, catering, home improvement, logistics, repair, and more, ServisHero gives you access to different services available within your vicinity. So, if you are in need of an expert, all you need to do is open ServisHero. Available on both iOS and Android devices, the ServisHero app allows you to search and book your local ServisHero. To use the app, all you need to do is login to your existing account or sign up to ServisHero. Key in what service you need help with and you’re on your way! Even if you’re not tech-savvy, you would still be able to know your way around the ServisHero app. Even if you are pressed for time, don’t worry, ServisHero gives you fast transactions. You can now book the best Hero in less than five minutes! You can still book using the ServisHero app even without a credit card! All you need to do is select the cash option and pay your Hero once the job is done. ServisHero also accepts major debit and credit cards such as Visa and MasterCard. ServisHero gives you all the options you need in terms of payment. Download the ServisHero app on your device or go to the ServisHero website. Select the service you want to book such as “air conditioning” or “plumbing”. On the next page, you can be more specific on what type of service you need. For example, if you select “air conditioning”, you will be asked what type of servicing, what type of AC you have, and how many units is in need of repair. Once you have specified the type of service, you can then select the best available schedule. One tip is to select a schedule that would guarantee that somebody is at home to open the door for your Hero. Key in your address and your payment details. Don’t forget that you can pay your hero in cash (except for home cleaning packages) once the job is done. Otherwise, you can confirm your ServisHero booking through debit or credit card on the website or the app. Now that you have a ServisHero booking, simply wait for your Hero to arrive on the arranged date. Go to the News Straits Times voucher page and choose ServisHero or simply scroll up to view the latest coupons from the store. Select the ServisHero voucher that you want to use by clicking on the Get Coupon Code button then copy the code. * Make sure to read the terms and conditions if the promo is applicable on your booking. Before you confirm your ServisHero booking, paste the code inside the discount box provided to view the discounted price. Proceed and confirm your ServisHero booking. That’s it! In four easy steps, you can redeem your ServisHero voucher and get big discounts on your bookings! *Please bear in mind that there are promos and discounts that do not need a coupon code as indicated in blue. If this is the case, simply click on the View this Deal button and be redirected to the ServisHero sale page.